Parenting a child with autism may differentially affect mothers and fathers. Existing studies of mother–father differences often ignore the interdependence of data within families. We investigated gender differences within-families using multilevel linear modeling. 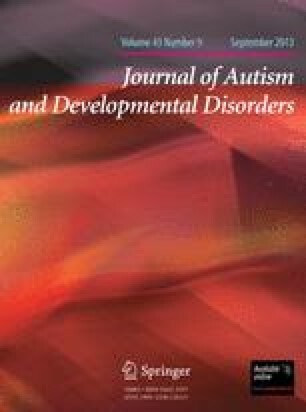 Mothers and fathers of children with autism (161 couples) reported on their own well-being, and their child’s functioning. Mothers reported higher levels of distress compared with fathers, and child behavior problems predicted psychological distress for both mothers and fathers. We found little evidence of child functioning variables affecting mothers and fathers differently. Gender differences in the impact of child autism on parents appear to be robust. More family systems research is required to fully understand these gender differences and the implications for family support. The preparation of this manuscript was supported by grant SCS/09/11 from the National Institute for Social Care and Health Research (Wales) to Bangor University. The original research was supported by funding from the European Social Fund, the National Autistic Society, and Bangor University.